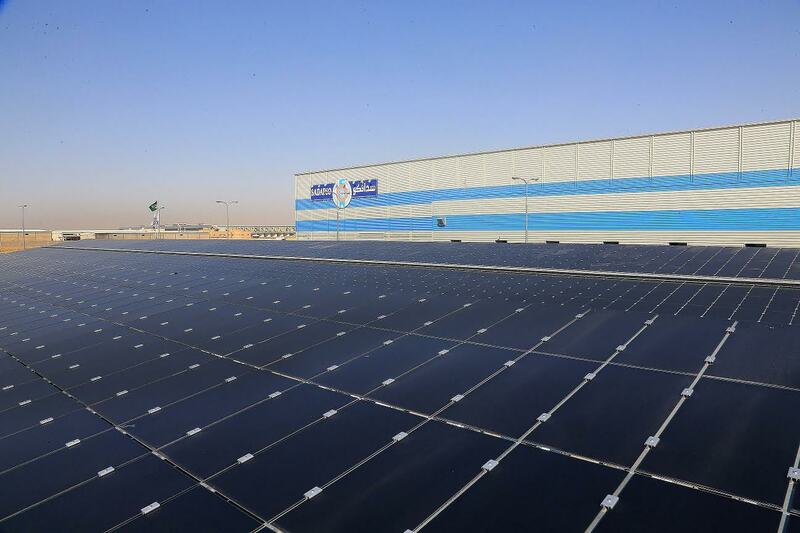 Riyadh: Saudia Dairy and Foodstuff Company (SADAFCO) has commenced operations of the new solar project that comes in line with the Kingdom’s 2030 vision for renewable energy, offering new employment opportunities and creates economic diversification. “The new 2 SAR million solar power project at our Riyadh Regional Distribution Centre (RDC) is utilizing a photovoltaic (PV)-diesel hybrid system that can deliver up to 40 percent of the facility’s daytime energy requirements,” said Wout Matthijs, CEO of SADAFCO during a media tour at the RDC in Riyadh. Covering a surface area of about 1,600 m2, over 2,000 solar cells have been installed atop the carport structures in the parking area offering the additional benefit of sun shade for cars. The project will operate high performance thin film photovoltaic modules from US-headquartered First Solar, Inc. These modules deliver more energy than conventional crystalline silicon panels, in the hot, humid and dusty conditions experienced in the greater part of Saudi Arabia. The hybrid system will not only result in cost savings from reduced diesel consumption on the generators necessary for an off-the-grid facility, but will decrease pollution as well. Based in Jeddah, SADAFCO operates sales and distribution depots in 24 locations across the Kingdom of Saudi Arabia, Qatar, Bahrain, Jordan and Kuwait. Saudia products are also exported to several countries in the MENA region. The company’s product portfolio comprises of a wide range of items across several categories that include: Milk, Laban, Tomato Paste, Ketchup, Snacks, Ice Cream, Cheese, Instant Milk Powder, Cream, Fruit Nectars, Arabic Coffee, Soy Drink, Butter and French Fries.